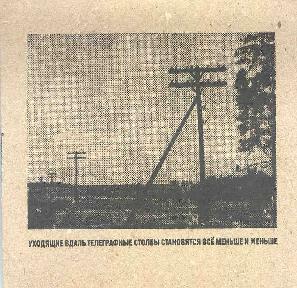 The Moglass - "Telegraph poles are getting smaller and smaller as the distance grows"
When I saw that these folks are from Ukraine and do "improvised drone" experimental music for guitar, bass, and electronics I just had to see what this sounded like. Would it be, y’know, different somehow? Or has the advent of global communication through the internet and such made it such that stuff from the other side of the world is gonna sound exactly the same as anywhere else? Well, I’m not sure that I got that question answered really (probably a bit too much to expect from a single CD!) but this is pretty darn cool nonetheless. For the most part Moglass creates floating, textural instrumentals, although unlike much dronescape stuff while they certainly love their effects pedals the instruments are often clearly discernable, even downright clean sounding at times. These folks are also more than happy to get dissonant and even dark and creepy, as they do on track two where a distorted guitar riff collides with tweaky electronics and drones. There are elements of glitchy electronica in a few tracks, but it never dominates the proceedings and is pretty subtle and creatively incorporated into their thing, and as one who is generally not a fan of that genre I did not find this aspect off-putting at all. Cool stuff! For more information you can visit The Moglass web site at: http://www.moglass.com. Contact via snail mail c/o The Moglass; PO Box 1739; Kharkov 61204; Ukraine.